Most Popular Tours and Travel Lodge Hotel in Bangkok, Thailand - ThaiLodgeToday.com : Make your journey more pleasant. the past and present together, The congress center of the community and visitors from outside, shop to buy food, agricultural products. Air and Trains, travel around by Bus, ..
TAT : BE PART OF THE MOST AMAZING SHOW ON EARTH!. 8 db. Thailand. 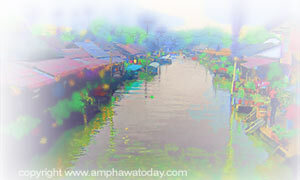 Amphawa. Roll 1. Important phone numbers, Bank Branch, ATM & Foregion Exchange Service Centers and 7-day Forecast. Follow promotional price of accommodation and services from operator in Bangkok. is always among the world’s top tourist destinations. The city is a true tourist paradise, proved by the growing number of travelers coming each year. 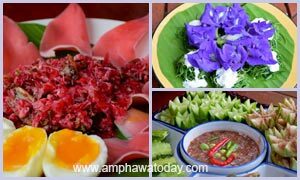 Besides the city itself, Bangkok is also surrounded by many interesting provinces worth visiting. The Best Floating Markets Near Bangkok, Amphawa Floating Market, Tha Kha Floating Market, Bang Nam Phueng..
Chatuchak Market, JJ Green Market, Aor Tor Kor Market, Pak Klong Talat Flower Market, Klongsan Market ..
Archaeological, Historical, Religious, 9 temples, Boating Merit ..
Best Bangkok Restaurants Bangkok Restaurants & Dining - Where and What to Eat in Bangkok.. Famous Bangkok Buildings: List of Architecture in Bangkok The Most Impressive Buildings in Bangkok - Culture Trip..
Bangkok Night; Cabaret Show - Night Tour, Sports, Calypso Cabaret Show, Muay Thai Live Show, Siam Niramit..
Thai Lifestyle is divided into 2 categories. 1. The village community learn the way of life and culture, eat sleep, live like a villager. 2. 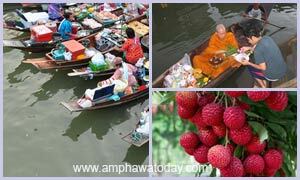 Traditional Thai Floating Market Rich with delicious Thai food. Wat Rakang, mostly historical attractions and temples with elaborate architecture and art. Famous temples. Pad Thai, Stir-fried rice noodles with dried shrimp, beansprouts, lemongrass and shrimp. study, view, study, walkrally, organize activities in the organization. 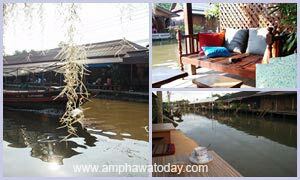 Wedding party, party at Amphawa, Muang, Bangkonti, Samut Songkhram, near Bangkok. Fish dishes are popular with local people, such as vegetables and fish for cooking. Conservation of natural resources and the environment. Prevent the wind from the monsoon wind and preserve the breeding and habitat of aquatic animals.